Seems we’re all pressed for time these days. We know some quality family time is needed. But what is the best way to actually spend time together? How about going on a fun (and easy) family day hike? If that is what you are looking for then Virginia’s got you covered – whether it is strolling along the salty shoreline, heading to a dramatic waterfall or walking to a panoramic overlook. Families can experience the beautiful sights of Virginia together, creating a shared memory – and get some exercise while we’re at it. Moments as simple as discovering some fascinating bug, or collecting different colored autumn leaves, or maybe having a picnic in the warm sun under a brilliant blue sky can be had on a family day hike. This is the stuff from which family bonds are forged. Read on discover some easy family likes in the beautiful and varied landscapes found only in Virginia. Bring your smart phone to capture the visual features of this hike that starts high and stays high. Walk the famed Appalachian Trail, climbing to view-laden and geologically rich Blackrock, a stony peak. From there, the hike passes more interesting rock features, then joins the Lewis Falls Trail, leading to a loud and dramatic cataract with its own views near and far. 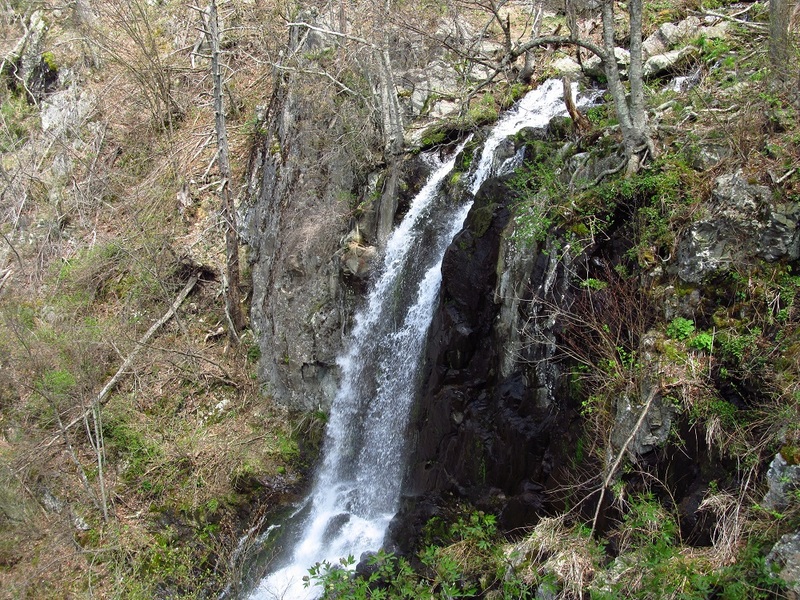 Lewis Spring Falls is one of the highest elevation falls at Shenandoah National Park. A guardrail guides you the last bit to a rock-walled observation point. Here, you can look down at the 81-foot falls spilling over the rock face crashing into rocks, then splashing out of sight. The distance is very doable, and the elevation changes aren’t overly much. After the Hike: While here at Shenandoah National Park, explore the other aspects of the greater Big Meadows area, with its park lodge, visitor center, ranger station, picnic area and campground. Even take a guided horseback ride at Skyland, just a few miles down Skyline Drive. Combine this short trek with a visit to the elaborate nature center here at Three Lakes Park. The nature center overlooks the middle lake of three impoundments and focuses on the plants and animals of the area and includes a 50,000-gallon freshwater aquarium. After visiting the nature center, do a triple loop, circling around each of the three watery destinations on easy level paths. Anglers bring a pole. Also, watch for bird life in these lakes. Your triple loop first circles Lake 1. This lake has a picnic shelter and popular fishing pier. A stream feeds fresh water into it, then flows out. Note the two small islands within Lake 1. A mix of trees shades the trails –pine, river birch, cedar, sweetgum and tall oaks. Lake 2 is shallow and is good habitat for amphibians. 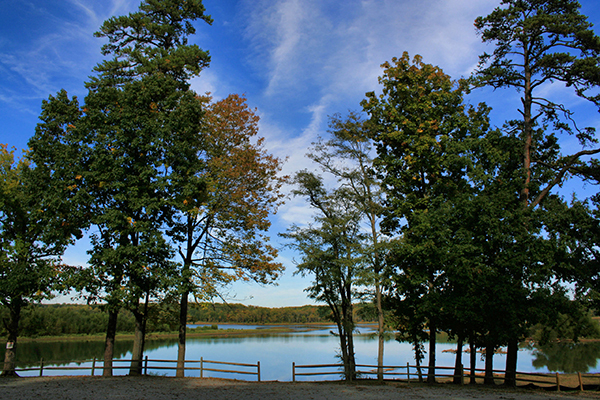 Lake 3 has a land peninsula popular with anglers. Try to incorporate your hike with a visit to the nature center. After the hike, relax on the back deck of the nature center, which extends over the water. After the Hike: Check out the Meadow Farm Museum, where you can explore a living outdoor museum recreated as an 1860 farm, with guided animal tours and living history demonstrations. Riverbend Park is a fun place to walk and hike. A worthy 2-mile loop leaves the visitors center on the Madison’s Escape Trail, named for President James Madison’s route of egress when the British invaded Washington, D.C. in 1814. Next, turn right onto the Follow the Hollows Trail. That path rolls up and down through charming rocky vales divided by wooded ridges. Take a side detour to the nature center if you want or visit after your hike (The nature center has a short interpretive loop trail of its own). Whether you stop at the nature center or not, make your way to the Potomac River and the heralded Potomac Heritage Trail. Turn south following the river back to the visitor center. While here, you can rent a kayak or canoe and explore the Potomac River. Have a picnic by the river or at Witch Hazel Bluff. After the Hike: Great Falls Park is nearby. Here you can visit the Great Falls of the Potomac, see the remains of a canal system and enjoy more trails along the mighty Potomac River. Northwest River offers a dizzying array of activities including a fine trail network with easy loop possibilities. Land and water meld here and park trails are laced with over a dozen bridges spanning creeks feeding into undeveloped Northwest River and Smith Creek, which form an aquatic boundary to the preserve. A recommended 4-mile loop leaves the activity-rich area around the ranger station then joins the Indian Creek Trail to cross two of the park trail bridges before turning down the Deer Island Trail. 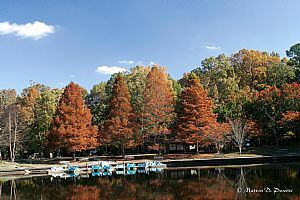 It leads you to an overlook and fishing pier on the cypress-bordered Northwest River. From there, take the Otter Point Trail to an overlook of Smith Creek. Finally, wind your way back to the trailhead on the Molly Mitchell Trail, with 6 more trail bridges. Afterwards, consider renting a canoe or paddleboat, a popular pastime when the weather is nice. After the Hike: Consider taking a bike ride on the nearby Great Dismal Swamp Trail, a flat, easy, fun and safe bicycling experience. What You Need to Know: Over 400 species of raptors, waterfowl, and songbirds are represented on the refuge’s bird list. Make your escape from the hectic world and return to nature at this refuge. Start your adventure at the visitor center, where rangers conduct interpretive education programs, and enjoy the displays therein (check hours ahead of time as they are seasonal). Pair two nature trails to cobble together a satisfying 2 mile there and back hike. Leave directly from the visitor center to join the Butterfly Trail. Not only does it focus on the fluttering fliers, it also includes interpretive information to help you observe wildlife. After a half mile, pick up the Wildlife Trail, which combines nature and history. Walk through mixed woods, passing an old cemetery, then open onto the salt marsh where an overlook awaits as well as a gun emplacement. The area was once the site of Fort John Custis during World War II. From there, backtrack a mile to the refuge visitor center. If you desire more trail consider walking or pedaling the 2.6-mile paved Southern Tip Hike & Bike Trail as it follows the former Cape Charles Railroad line. 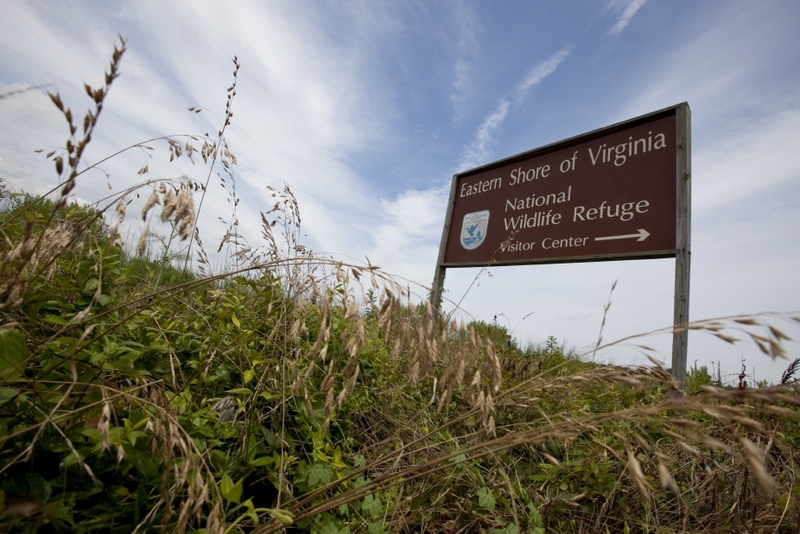 After the Hike: Stop at the Eastern Shore of Virginia Visitor Center to explore more family fun possibilities, or grab a meal at The Jackspot on Sunset Beach in nearby Cape Charles. Why Go There: See historic farm and gorgeous mountaintop lake. What You Need to Know: The farmhouse is staffed by interpreters on weekends and holidays. 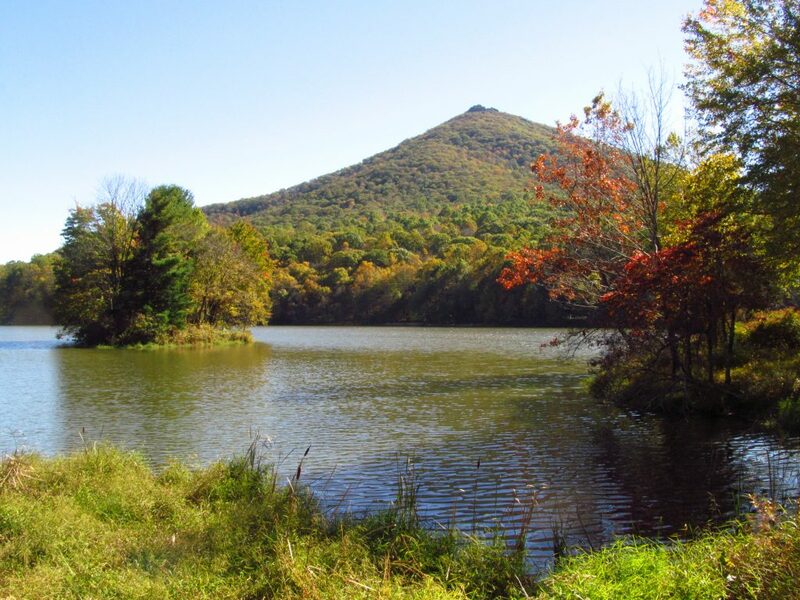 Situated in the scenic Peaks of Otter area along the Blue Ridge Parkway, this hike visits a long-lived homestead and then circles around a lake built as part of the Blue Ridge Parkway. Start your hike at the Peaks of Otter Visitor Center, 2,500 feet high, then cruise rich woods. Join the Johnson Farm Loop where you skirt a mountainside then reach the farm, located in a high mountain flat. See the preserved homestead as well as outbuildings, and perhaps the furnished inside of the Johnson Farm when open for interpretation. The hike then circles Abbott Lake, rimmed by the Peaks of Otter and a park lodge. Before finishing, stop by a preserved log structure from the 1830s. After the Hike: The Peaks of Otter lodge, picnic area, campground and visitor center complement this Blue Ridge Parkway concentration of highlights. Take the tram up to Flat Top and soak in superlative panoramas. Why Go There: You can make a loop on a peninsula nearly encircled by water. What You Need to Know: This Franklin County park not only features aquatic views on easy woodsy trails but it also has a fishing pier, picnic area and a swim beach. Smith Mountain Lake, a dammed impoundment of the Roanoke River southeast of the town of Roanoke, is known for its numerous peninsulas jutting into the water, forming near islands that add up to the 600 or so miles of shoreline. Franklin County’s Smith Mountain Lake Community Park is situated on one of those peninsulas. The mostly level 1.9-mile loop hike explores about every inch of the park’s shoreline, allowing watery views in all directions. Start your hike on the pea gravel all access Picnic Point Trail, heading east, toward the park’s fishing pier. Scrub pines and oaks border the wide path. You can already see the lake ahead – and the elaborate fishing pier. After watching the anglers, boaters and perhaps having a picnic, begin a counterclockwise loop around the park. Follow a clear path coursing through prototype Piedmont woods of maple, shortleaf pine, beech and white oaks. Views extend through the trees no matter the season and a good vista is a simple matter of walking a few feet to the shoreline. 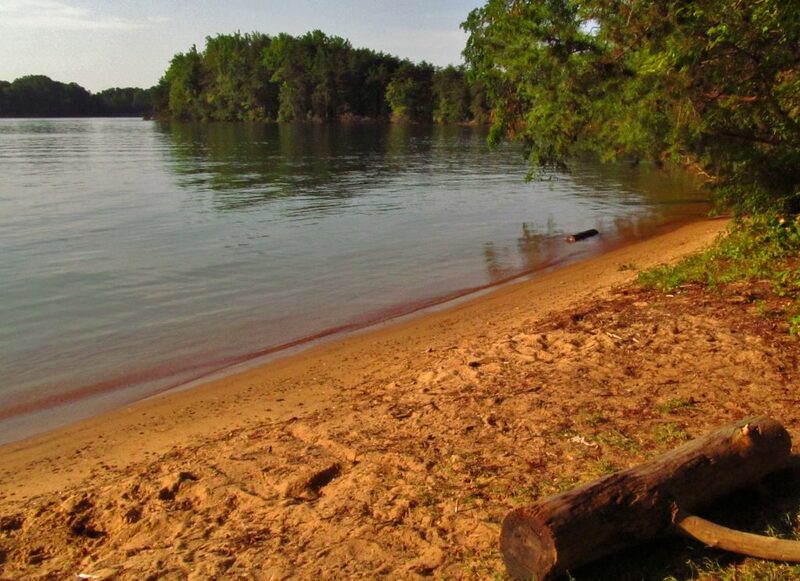 After the Hike: Pitch your tent or rent a cabin at nearby Smith Mountain Lake State Park. They also have additional trails and other facilities. The state park makes a great base camp for exploring the lake. What You Need to Know: This Franklin County park not only features aquatic views on easy, woodsy trails but it also has a fishing pier, picnic area and a swim beach. Staunton River State Park is strategically located at the confluence of the Dan River and the Staunton River, both backed up at that point as part of Lake Kerr, aka Buggs Island Lake. Take a rewarding shoreline loop in a mix of forested scenery and watery overlooks. Start near the park visitor center to pick up the River Bank Trail, first cruising along the Dan River, alternating between intimate coves and outland peninsulas. Pass picnic shelters then head along the Staunton River before returning to the visitor center via the Captain Staunton Trail. The trail system is extensive so it is easy to lengthen your hike. Perhaps you would also like to indulge in other park activities such as boating, kayaking, swimming or picnicking. After the Hike: Consider camping here at the state park. It is Virginia’s first designated International Dark Sky Park, great for viewing the stars. They have cabins, too. What You Need to Know: This is the trailhead to see the wild ponies of the Virginia Highlands. If you’ve never been to the Mount Rogers High Country, perched more than a mile above sea level, here’s your chance to experience a mix of rock outcrops, grassy meadows, spruce thickets and the wild ponies that call this area home. 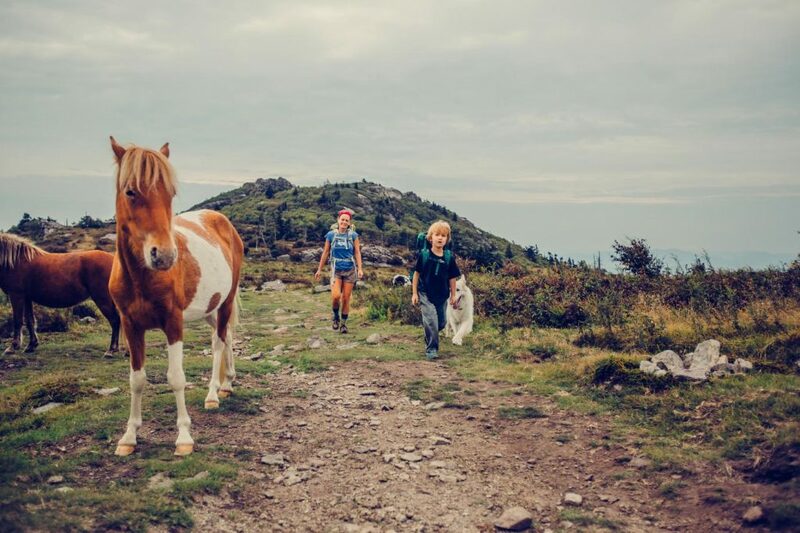 Grayson Highlands State Park is the perfect jumping off point with its amenities and well-marked trails that leads you to Virginia’s rooftop. A sampler hike takes you from the state park to Massey Gap, where you can join the Appalachian Trail southbound to wind through the mosaic of field, forest and rock. A clear day will yield incredible panoramas of the wildlands within and mountains beyond. Add camping, picnicking and nature study to your agenda. After the Hike: Head to nearby Damascus, rent bikes and roll your way 17 miles downhill on the Virginia Creeper Trail, one of Virginia’s most famed outdoor experiences. What You Need to Know: This is one of those hikes so full of must-visit highlights that it is hard to get a head of steam going. See the Natural Tunnel, an immense passageway through which Stock Creek flows. Trek along Stock Creek to see the 220-year-old Carter Cabin. Climb from the Stock Creek gorge then walk along its rim, gaining rewarding views, culminating with a trip to Lovers Leap, where views can be had as well as a look at more stunning geology. You actually don’t have to hike to the Natural Tunnel, since a park sky lift can take you down to Stock Creek and the Natural Tunnel for a fee. More importantly, it will take you back up again. The Natural Tunnel is big enough for a railroad line to have been routed through it. Bridge Stock Creek then soon reach the 220-year old Carter Cabin. Also enjoy a view from Lovers Leap. 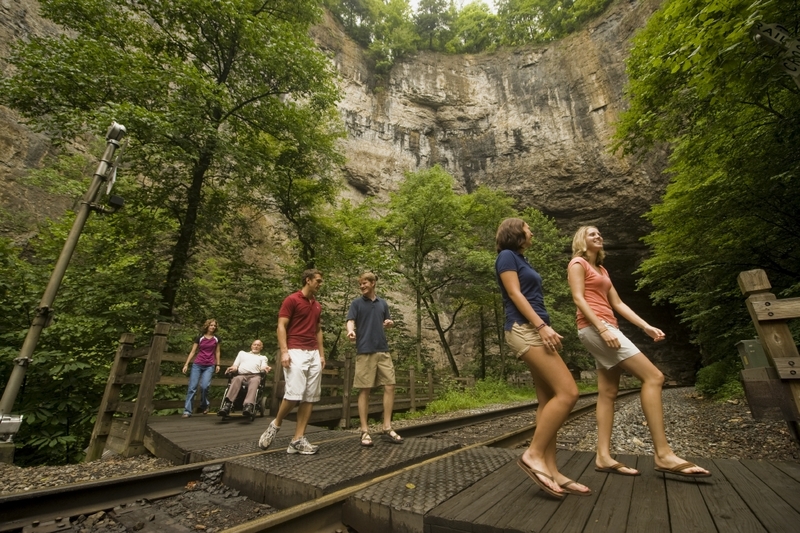 Natural Tunnel State Park also has tent and RV camping, picnicking and cave tours, as well as other hiking trails. After the Hike: Float the Clinch River. It is a fine family paddling experience. Outfitters are stationed in nearby St. Paul.